The Marketing Arm creates some of the best Point-0f-Purchase displays on the market. Each year they generate a million dollar campaign for Frito Lay that excited kids and moms alike as they prepare to go back to school. 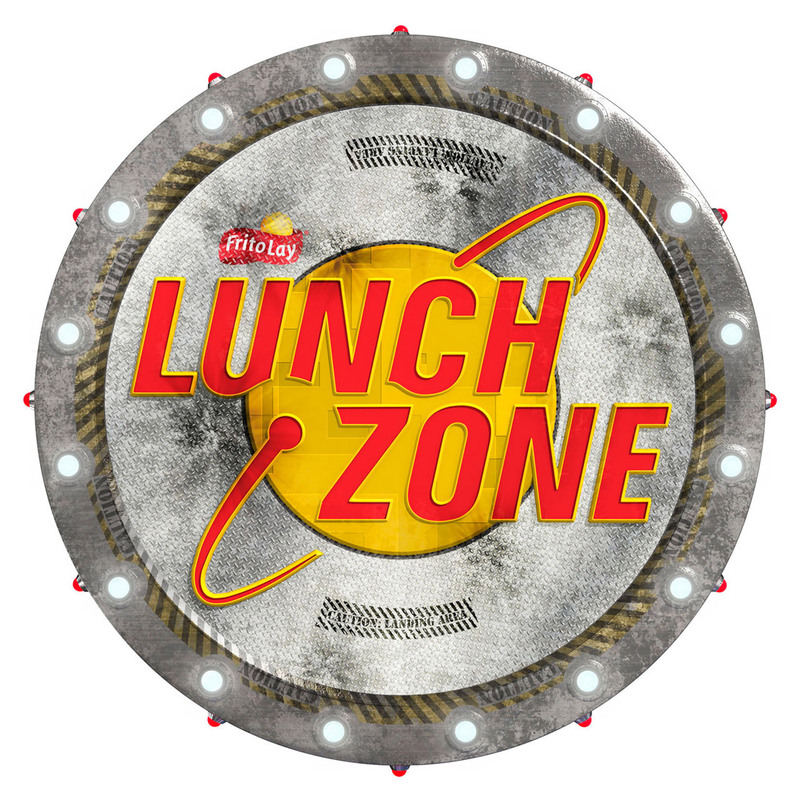 The LunchZone Launch Pad was just an image. This was created as a floor graphic to be installed at POP displays in major retailers like Wal-Mart and Target. The main display can be found elsewhere here on the site. Created from a pencil sketch it was illustrated using 3d CGI and the direction was to distress it like a real platform might be.